When I was engaged, I really wanted to take advantage of wearing bridal white to all of my events - engagement party, bridal shower, bachelorette party, rehearsal dinner, & even on the honeymoon! But one of the most surprising wedding fashion dilemmas I faced? Finding stylish white dresses that hit the right tone (not too fancy, not too casual) at a price point that I needed - let's be honest, weddings are already expensive for everyone! If you are finding yourself in a similar situation, let me introduce you to your stylish little white dress source - Maggy London! I love the feminine details of these white dresses & feel confident that they could be fabulous wardrobe additions, that are worn even after you say "I Do"! 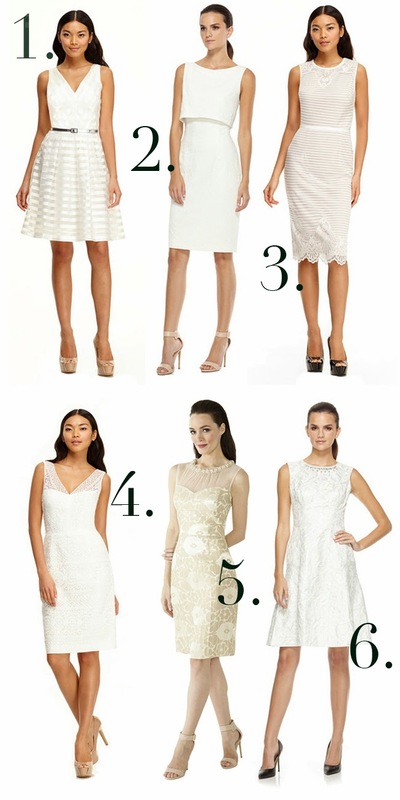 Psssst - if any of your friends are engaged, earn some brownie points by sharing the LWD secret!